Technically a street, Balmy is referred by long-time San Franciscans as an alley, and it is one colored by culture, literally. 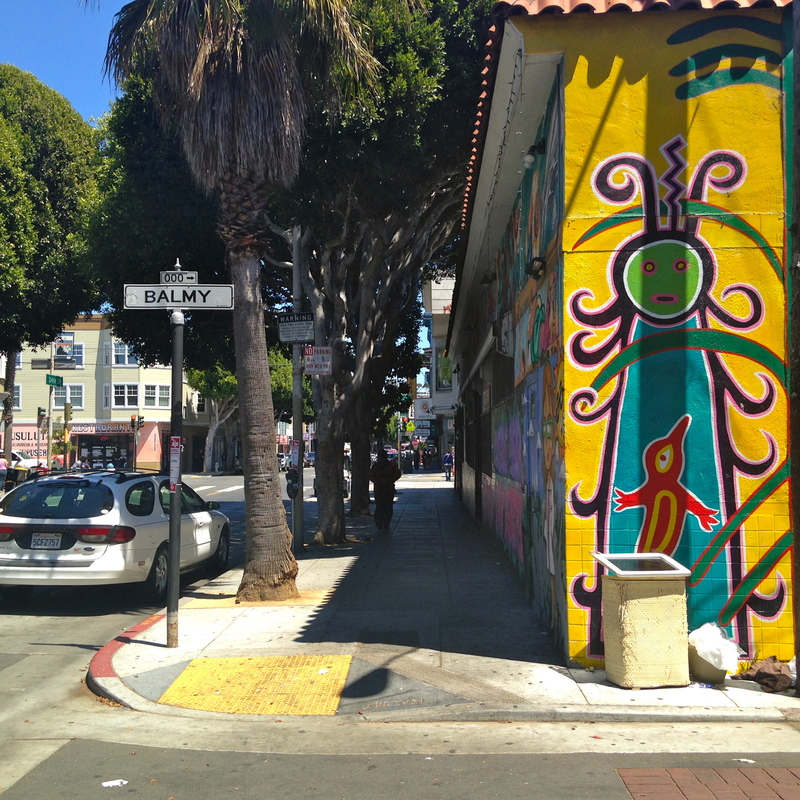 Crossing 24th street in the Mission District, the tiny road is visited everyday by dozens of local people and tourists who want to learn the stories its murals tell. A group of local artists and Artivists transformed Balmy St. in the 80s. They wanted to show support for Nicaraguans and Salvadorans who were leaving their country after the horror and death caused by civil wars. San Francisco received them. The city was declared a Sanctuary for Immigrants. Nowadays, many of the original murals remain. The one below this text, is the first one painted, and it was recently renovated. Miranda Bergan, O’Brien Thiele, and other artists painted many of these murals in the 80s. 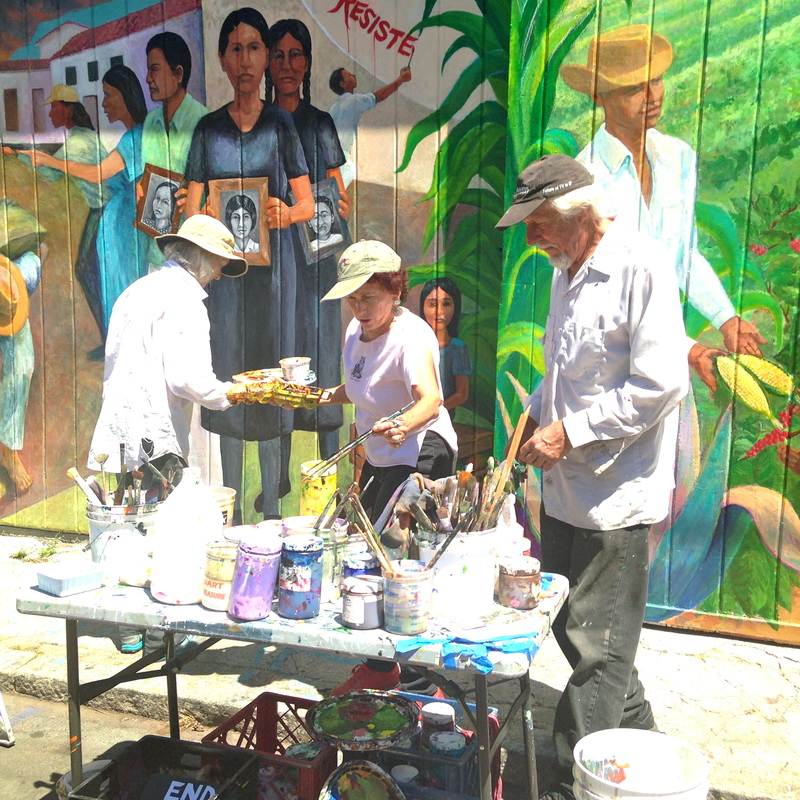 Recently, along with friends and fellow artists, they renovated the main mural using their own funds, and through a campaign on IndieGoGo. 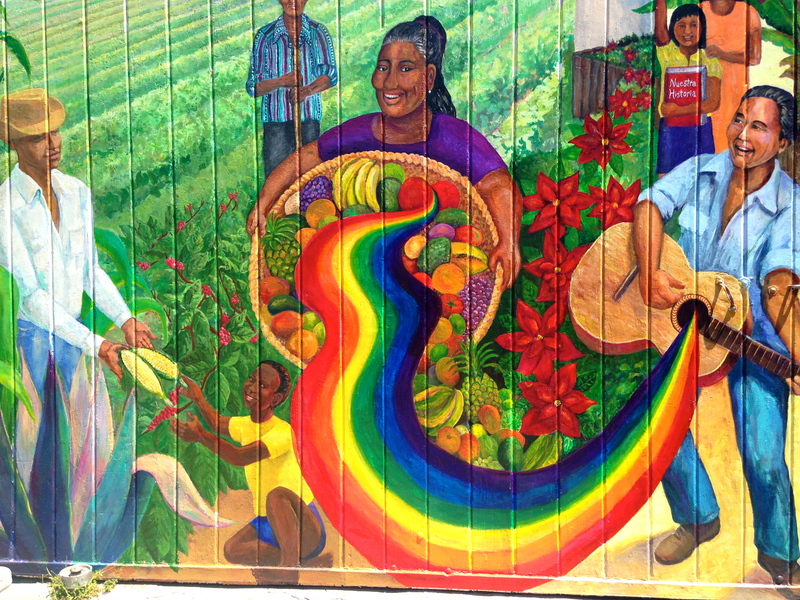 Because these murals are fun, interesting, and quite historic, because they show the long time presence of Latinos in San Francisco, and because they are testament to creating community regardles of nationalities and ethnic backgrounds. The whole thing is free, which makes the experience even more attractive! Go to the Mission Distric by Uber, Lyft, or a Taxi. If by Bart, get off on 24th St. and Mission. Walk East on 24th Street and find Balmy St. several blocks after. And get ready to walk on the long alley, full of murals! Once you are there, make sure to rest and have a cup of coffee at Temo’s Cafe on 24th St. and Harrison St., or eat tacos, mexican pastries, and other Latin American food in the nearby restaurants on 24th St. Also, the many book stores in the area, such as Alley Cat, will turn your visit into a total cultural immersion experience. Content by Lupita Peimbert. @Lupitanews.